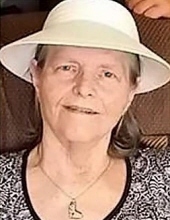 Pamela J. Fultz, 76, a lifelong resident of Bucyrus, went home to be with her Lord and Savior Jesus Christ on Monday, January 28, 2019 at her home. She was born June 5, 1942 in Bucyrus to the late Archie and Lera (Foster) Hawk and was a 1960 graduate of Bucyrus High School. Pam worked at GE for a short time and had taken some IBM computer classes and medical training. This led to her working as a medical assistant at Belle-Hoffman-Michael Home and for a physician’s office in Crestline. She then worked at Baja Boats as a buyer for ten years. Everything Pam did revolved around her family and they remained her main focus her whole life. Because of her love of the Lord, she was active at Mt. Zion UMC and First Baptist Church Bucyrus and saw to it that her children were also involved. She taught Sunday School, sang in the choir, played the piano and organ, and enjoyed Bible studies. She was also an active member of PTO and mothers club. She wanted to be involved in anything her children or grandchildren were doing. She and her daughters even sang together in the Sweet Adelines for several years. Family gatherings were important to her as she possessed a quick-witted sense of humor and enjoyed exchanging banter with those she loved most. She loved working with her flowers around her home and was pleased when her butterfly bushes drew butterflies, as they made her smile. She cherished multiple pets over the years and was an avid football fan who rarely missed a Buckeye or Browns game. Throughout her life she was a steady foundation for her family and a living testimony of Christ. She is survived by five children, Rusty (Ursula) Smith of Port Charlotte, Florida, Lori Smith and Shelli Acosta, both of Bucyrus, Shawn (Kendra) Fultz of Findlay, and Benjamin (Kathi) Fultz of rural Marion; 12 grandchildren, Tate Smith, Denner Egewarth and Bruna Egewarth, Chris Rose, Zach Smith and fiancée Brianna Myers, Kila Fultz, Koby Fultz, and Kaden Fultz, Cory (Katie) Snyder, Chris Snyder, Ryan Snyder, and Alexis Fultz and fiancé Trent Avon; two great grandchildren, Greyson and Granger Snyder; as well as her longtime companion, Kevin Hallowell. Pam was preceded in death by three siblings, Gene Hawk, Bill Hawk, and Phyllis “Diane” Hawk. Her family will receive friends from 4-7 pm Friday, February 1 at Wise Funeral Service, where her funeral will be held at 10:30 am Saturday with Chaplain Rick Utt Jr. officiating. Burial will follow in Oakwood Cemetery. Donations can be made payable to American Cancer Society through the funeral home. To send flowers or a remembrance gift to the family of Pamela J. Fultz, please visit our Tribute Store. "Email Address" would like to share the life celebration of Pamela J. Fultz. Click on the "link" to go to share a favorite memory or leave a condolence message for the family.